August 11: Happy 50th Birthday Charlie Sexton! Charles Wayne Sexton (born August 11, 1968) is an American guitarist, singer and songwriter best known for the 1985 hit “Beat’s So Lonely” and as the guitarist for Bob Dylan’s backing band from 1999 to 2002 and since 2009. His style of playing has varied and he has been associated with artists in the blues, folk, rock and punk genres. I first saw Charlie Sexton in the 80s and I have his first two vinyls in the attic (I don’t play vinyls anymore). He was promoted as this wonder kid, a new guitar god and he sounded and looked great. He was good then and he has gotten better. His first records suffered by that “eighties sound” but there are some good songs on them, and the guitar playing is tremendous. In 1999, Sexton was hired by Bob Dylan to replace Bucky Baxter. Sexton had previously played with Dylan during a pair of Austin, Texas, concerts in 1996, and on some demos recorded in the fall of 1983. 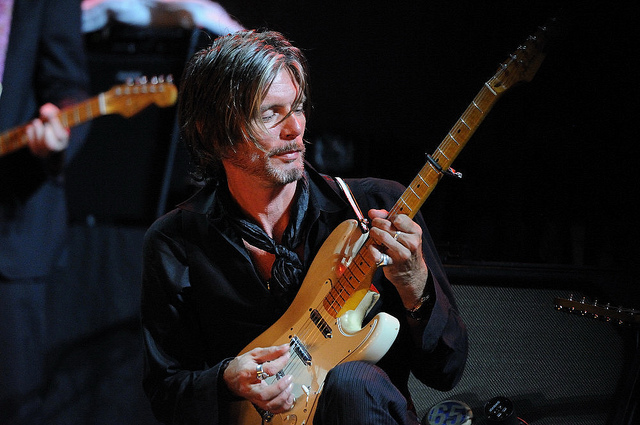 Sexton’s residency with Dylan from 1999–2002 brought him great exposure, with many critics singling out the interplay between him and Larry Campbell, who was also a guitarist in Dylan’s backing band. 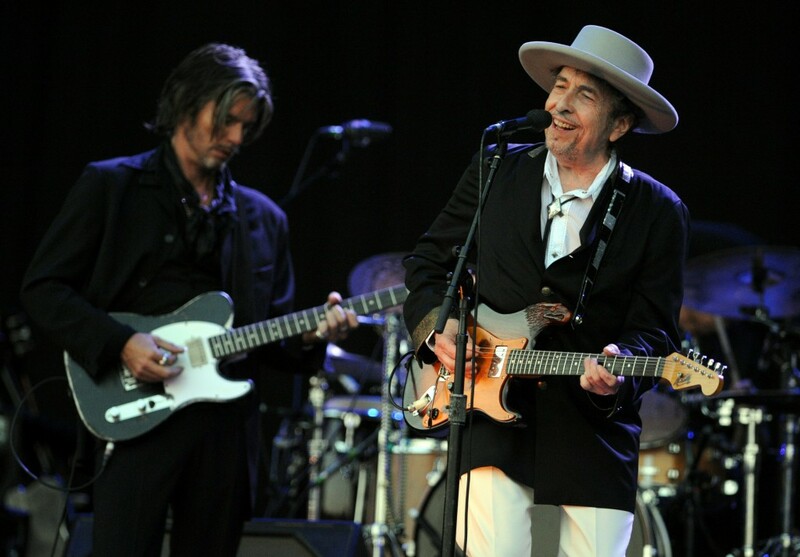 Hailed as one of Dylan’s best bands, the group recorded a number of studio recordings, including Things Have Changed (from the 2000 film Wonder Boys) and 2001’s critically acclaimed album, Love and Theft. He also performed and appeared with them in 2003’s Masked & Anonymous. In October 2009, Sexton rejoined Dylan’s touring band, replacing Denny Freeman. He is also an actor and did a very fine role in Richard Linklater’s masterpiece, Boyhood. He is also set to play Townes Van Zant in Ethan Hawke’s biopic about Blaze Foley, Blaze.